Clinton campaign chairman John Podesta personally thanked high-dollar donors to a Democratic Super PAC with which the campaign is legally prohibited from coordinating, according internal campaign memos. 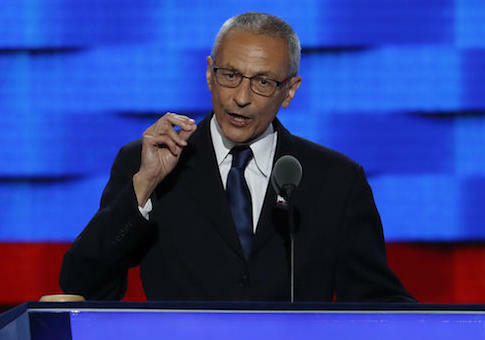 The memos detail half a dozen scheduled Podesta phone calls to five-, six-, and seven-figure donors to Priorities USA Action, the most prominent Super PAC supporting Clinton’s presidential candidacy. One of the memos, sent in February 2016 laid out ways that Podesta could give recognition to Priorities supporters while staying within the bounds of campaign finance laws that prohibit campaigns and their staff members from coordinating with outside spending groups that can raise and spend unlimited sums from individuals, corporations, and labor unions. Clinton and other prominent Democrats have criticized Supreme Court decisions that enabled those types of groups. However, internal documents and communications show that the campaign has explored ways to steer donors to Priorities and otherwise maximize its collaboration with the group within the bounds of the law. One of its strategies for doing so has been to personally thank high-dollar donors to the group. 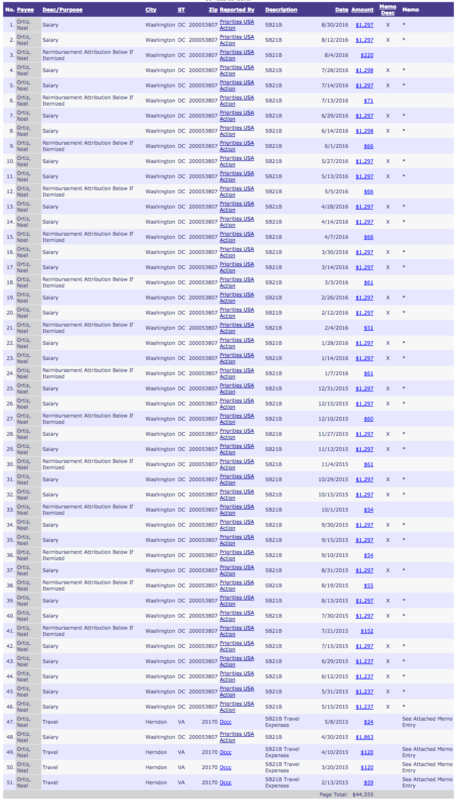 Though campaign staffers can only solicit Super PAC contributions up to $5,000, it has used personal thank-yous to signal its support for Priorities’ biggest financial supporters. The February memo to Podesta suggested thanking three donors: Donald Sussman, a hedge fund manager who at $13 million is Priorities’ top donor this cycle; business consultant Ken Goldenberg, who has given $150,000; and the president of the Laborers International Union of North America, a $3 million institutional donor. The memos were attached to a series of emails in late 2015 and early 2016 that were among thousands released by Wikileaks this week after hackers believed to be acting in concert with the Russian government breached Podesta’s email account. According to the emails, the February memo was drafted by Dennis Cheng, the Clinton campaign’s finance director. 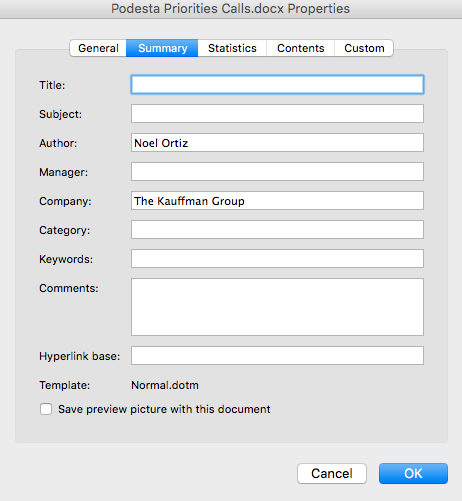 However, metadata in the document list its "author" as Noel Ortiz, who has been a paid Priorities staffer since April 2015. The prior memo, which emails indicate was also crafted by Cheng, is described as "a list of thank you calls Priorities is asking for John Podesta to make. "I wanted to thank you for your generous donation to Priorities USA Action. It really means a lot to me and Hillary," the February memo suggested Podesta tell donors. "Thanks to your support, Priorities will be able to do its vital work to help win in 2016." In keeping with prior advice from Clinton campaign general counsel Marc Elias, the Podesta memo detailed ways that he could engage with Priorities donors without running afoul of prohibitions on Super PAC coordination. If the donors asked whether they should contribute more, Podesta was advised to tell them, "I can’t discuss future contributions. I just wanted to let you know how thankful I am for the generous contribution that you recently made." If asked how the donations would be used, he should say, "As you know, we cannot coordinate with Priorities on how they spend their funds. However, they have a demonstrated record of spending funds wisely to keep the White House in Democratic hands and I am confident that will be the case in 2016." He was also advised to avoid telling Priorities staff to follow up with any of the donors. But he could give the donors contact information for Priorities staff, the memo explained. This entry was posted in Politics and tagged 2016 Election, Hillary Clinton, John Podesta, Priorities USA. Bookmark the permalink.